mylittleremix.com • View topic - TrotMania V seeking musicians! 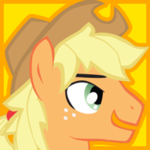 Board index ‹ Pony Fandom Discussion ‹ Pony Fan Project Recruitment ‹ TrotMania V seeking musicians! TrotMania, a long-running brony music-based StepMania (basically DDR) package project, is seeking some musical talent for its 5th instalment, Shrive. This time around, we have a need for musicians. In particular, we're seeking producers able to make songs that would sufficiently suitable as a boss in a dance game. More info on TrotMania V is available here. You can inquire here or on the PonyvilleFM Discord for more information. Re: TrotMania V seeking musicians! I personally don't think I could, but I do know someone who might could. Brilliant Venture might have an interest. If you want, you can ping me on Discord (AppleBukker#3206). I'll pass the message onto him. @ppleBukker wrote: I personally don't think I could, but I do know someone who might could. Brilliant Venture might have an interest. If you want, you can ping me on Discord (AppleBukker#3206). I'll pass the message onto him. Just added you right now.